Our SYP members come from many different backgrounds and work in a variety of industries (business, nonprofit, education, healthcare, etc). Young Professionals are the future of the Upstate and Spartanburg is a dynamic piece to the puzzle. Watch the video below to find out the impact SYP has on its members. Meet SYP's Members, and find out what they have to say about us. "SYP provides a means to make new connections and develop lasting friendships while allowing the opportunity to be involved in the growth taking place within our community. I was born and raised in Spartanburg, where I attended Spartanburg High School. I went on to earn a Bachelor of Science degree in Financial Management from Clemson University, and began my career as a financial advisor with Merrill Lynch in Jacksonville, Florida in 2013. Two years later I moved back to Spartanburg to join the local Merrill Lynch Wealth Management team of Mauney & Associates. In my spare time, I enjoy volunteering in the community, golfing, and spending time with my family and friends. Upon moving back to Spartanburg in 2015, I realized that an astounding amount of growth within the town had occured since leaving for college. SYP provides a means to make new connections and develop lasting friendships while allowing the opportunity to be involved in the growth taking place within our community. Spartanburg is a unique community in the sense that young professionals have the ability to play a major role in the direction our town is headed. The ability to be a part of something bigger than myself while also allowing me to maintain the comforting feel of home were the main attractions that drove my decision to move back home from North Florida. In the three years since moving back, I do not have a single regret about returning home to work and one day raise a family in this wonderful town." "I joined SYP to connect with local, like-minded professionals and to get more involved in our community. I'm Chad Cooke, and I am the Business Development Manager for Express Employment Professionals. I develop relationships with local businesses in Spartanburg to establish strategies to retain current employees, as well as connect them with my recruiters to assist in searching for talent for their open positions. I'm originally from Spartanburg and after traveling the world in the military, I had several options as for where I wanted to live and attend college. Ultimately, after seeing the rise in economic development, I decided that Spartanburg was the perfect place to be. I most love spending time with my twin four year-old daughters and newborn son. Otherwise, you will see me reading or if it's a nice weekend, riding my motorcycle." 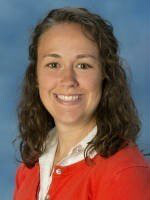 I am the Clinical Education Coordinator and faculty member for the Athletic Training Program at Gardner-Webb University. I moved to Spartanburg in August 2015 after having most recently served the University of Tennessee-Chattanooga as the Associate Director of Sports Medicine and the Assistant On-Campus Clinical Coordinator of the Graduate Athletic Training Program. I enjoy building and making new things, roaming around outdoors, animals, and finding new things to enjoy!" After working in the Community Relations Department for the Gwinnett Braves and Indianapolis Indians, I moved back to Spartanburg to run Palmetto Vermiculite, a company started by my family 27 years ago. I’m Vice President and oversee all of our plant operations, as well as, our sales staff. When not working, I enjoy spending time with my wife Megan, our son Walton, and two hounds Beau and Ethel. I became a member of SYP this year as a way to meet young professionals like myself and decided to jump right in by joining the Program Committee. It’s been great working with everyone and seeing how many young people are making a difference in this growing community. There are a lot of unique voices in this town and still so many opportunities for them to be heard."